The first sight lunchtime diners got of Samira, their Syrian guest-chef for the afternoon, was in the occasional moments when she emerged from the kitchen a picture of calm control delivering her self-crafted cultural dishes to waiting tables with a humble smile, before disappearing again into the hot kitchen of her adopted workplace, Banibanoo. Her efforts signalled the second day and continued success of Madrid’s week-long Refugee Food Festival, co-organised by MFR and Chefugee. 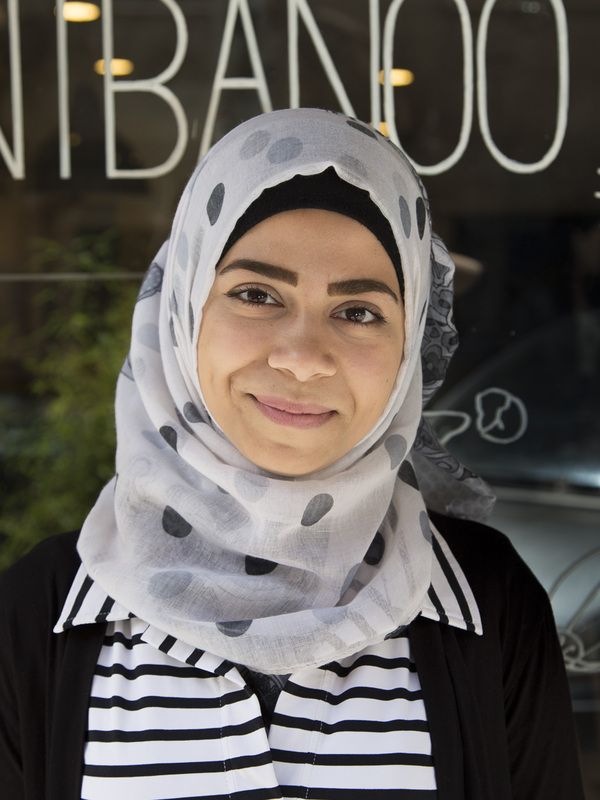 In Aleppo, Samira had been a beautician and hairdresser, and although she had learnt some family kitchen secrets during her time in Lebanon, it wasn’t until she arrived in Madrid last year with her family of three that she truly pursued her passion for cooking, and made quick work of it too. After taking a course at the Centro para Inmigrantes de Santo Padre Rubio she has transformed into an incredibly competent chef showcasing her talents at several Chefugee dinners, and even having her food presented and enjoyed by Madrid’s mayor, Manuela Carmena, at the recent ACNUR press conference. This afternoon she shone as one of the seven culinary jewels in the festival crown. Samira told me she enjoys cooking because she believes it is an “artistic and positive activity”, and she undoubtedly created a masterpiece for the afternoon’s guests. On offer was a three course menu dripping with Syrian culture. 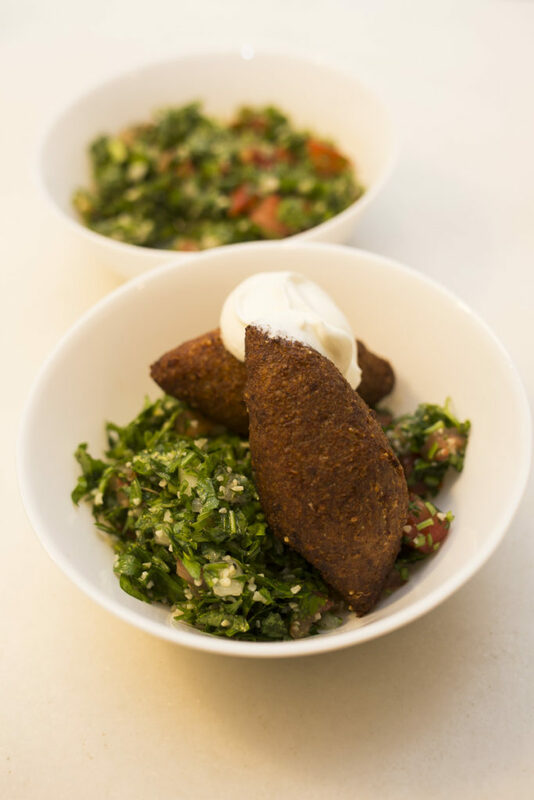 Up first was a choice of a light citrus Tabbouleh or Qras Kibbeh, a sentimental plate for Samira reminding her of big family meals in back Syria. This was followed by Mansaf Freekeh with chicken, a Middle Eastern spiced chicken rice dish that received particular praise from diners. All this was polished off with Kunafah, a traditional sweet pastry dessert. The hosts for this afternoon were the wonderful team at Banibanoo; an Iranian cuisine restaurant with a refreshing lunchtime menu that was complimented perfectly by today’s Syrian twist. Their kitchen is also no stranger to Chefugee cooks as they currently employ Nour, our Thursday lunch festival chef, who was assisting today alongside the resident kitchen team and wait staff. Samira told me she found the experience in Banibanoo “so positive”, explaining how she “learnt a lot” from the detail oriented manager Bani who helped further develop her culinary prowess. 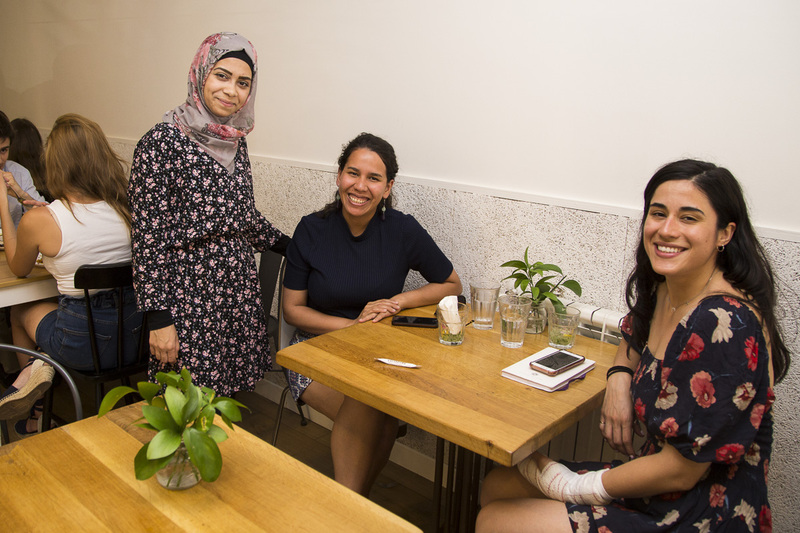 In its second day, the Refugee Food Festival continued to effectively work towards the de-stigmatisation of the refugee, breaking down barriers through the delicious medium of good food. For those enjoying the menu “it is a friendly occasion in which both our body and soul are fed”. And for the chefs it can be an educational experience; an opportunity to shift perspectives about their home and culture; or simply, as Samira put it, because “I like seeing people’s reactions when I cook, I like seeing people smiling.” When she appeared from her kitchen a final time to greet the diners she was not short of smiling faces to see.